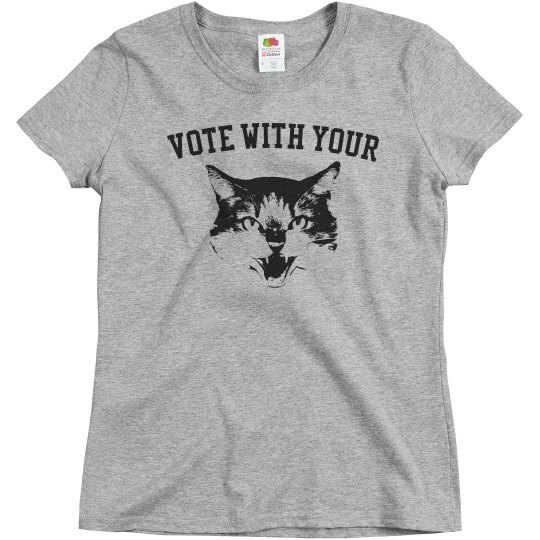 Vote with your mind and with your kitty this election cycle. Who is better for the country? A man who never knew the struggles of a normal life, or a smart woman who worked her way up despite many challenges.